Southampton boss Mauricio Pellegrino hopes to recruit at least two new players following the £75million sale of Virgil van Dijk to Liverpool. Van Dijk will be available at Anfield from January 1 after the most expensive move made by a defender was confirmed on Wednesday, eclipsing the £54million paid by Manchester City for full-back Kyle Walker. The Holland centre-back handed in a transfer request during the summer as talk of Jurgen Klopp's interest swelled, and Pellegrino insists his exit is smart business for Southampton. "I would like to bring in a couple of players minimum and we have to work for this. We have been talking about the couple of targets that we've got," Pellegrino said. "Maybe we change one player for two players or three players with this money and this has to be the positive target. "We have to analyse this situation and this is good personally for him and will be positive if we reinvest in our good targets for the future. "Sometimes at this level, Southampton is impossible to bring in players for £80million or £50million but maybe for us that can mean in the future a couple of good players. "The question of whether the sale is a good deal is more for our board, but from outside of the business plan I think so. "Now the deal is done and will be positive for the club and Virgil and we can reinvest this money in our squad to try to be stronger and this is everything. "We have got our targets and have to look forward to pushing on and trying to improve our squad. "Now the Virgil deal is done, my best wishes for him, but it has to be a positive impact to reinvest, a good decision for the future." 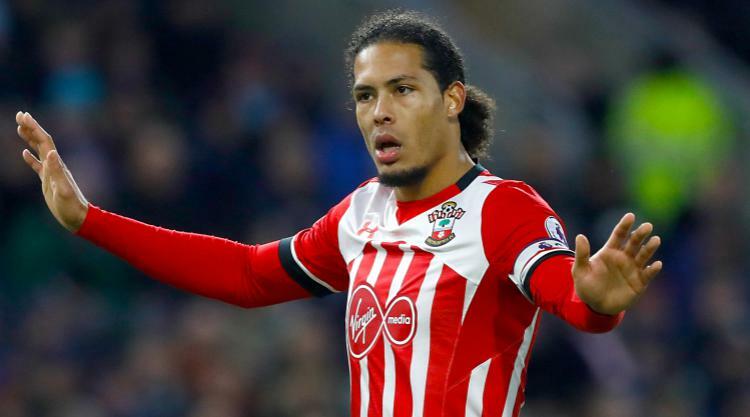 Van Dijk joined Southampton from Celtic for £11.5million in 2015 and, following a strong start to his career on the south coast, his form deteriorated this season after his recovery from an ankle problem. "It's difficult to come back and keep the same level that Virgil had before when you were eight months out," Pellegrino said. Southampton have lost four of their last seven Premier League matches, failing to produce a win since late November, and on Saturday they travel to Manchester United. Jose Mourinho's men were held to a 2-2 draw by high-flying Burnley on Boxing Day, but Pellegrino will look closer to home for inspiration. "I was analysing that game but I think now our target is to bounce back in the Southampton way, to play with more character and be more clinical in ways," he said.